Delightfully absurd. Let's face it: Norm MacDonald's not for everybody, and his dry aloofness is all over this "memoir." He's more interested in making fun of the celebrity memoir than dishing out the behind the scenes stories these books so often rely on. In fact, the book is almost entirely fabricated. 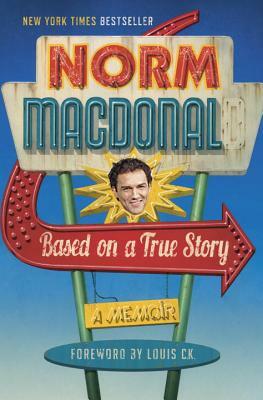 The book tells three stories: The present day where Norm and Adam Eget try to make one last drug-fueled score in Vegas before his debtors come for him, a ridiculous telling of his past through a morphine haze, and a strange and surreal account of his fictional ghost writer struggling to find the humanity in the subject of Norm MacDonald. This book is weird in all the right ways, just like Norm. Norm Macdonald is a stand-up comedian, writer, and actor who lives in Los Angeles. He is the proud father of Devery.